The smallest unit of light is a "photon". Generation, manipulation and measurement of light at or near the fundamental limit of a photon can enhance the performance of many optical systems. Remote sensing, long-distance communications, biological imaging, and quantum information science are some near-term applications that would benefit immensely from better optical components and techniques that work efficiently at few or single photon levels. However, the technologies to generate, manipulate, and detect these states of light are inadequate for the emerging applications. We are developing new light sources, detectors, and measurement techniques to address these needs. One of the activities in this group is the development of single photon technologies for quantum information science and technology. We work closely with the Nanostructure Fabrication and Metrology Project on the generation of novel non-classical states of light and the detection of single photons. Currently, we are investigating the use of nonlinear fibers and nonlinear crystals as a source of correlated photon pairs or squeezed light. We are also manipulating the squeezed light to make Schroedinger "Cat" states of light. In addition to making non-classical states of light, we build detector systems that are the best in the world at operating at the single photon level. Presently, our project is primarily focused on using two different superconducting detector technologies -- transistion-edge sensors (TES) and superconducting nanowire single photon detectors (SNSPD). Using our sources and detectors, we also are actively involved in characterizing optical compoments at the few photon level, demonstrating new optical devices that function at the single photon level, demonstrating of new measurements at faint light levels, and demonstrating new applications that require single photons. Demonstrated the highest system detection efficiency for single photons, >95 % at 1550 nm with Transition-edge-sensors. Demonstrated, with outside collaborators, world-record, long-distance quantum key distribution systems using superconducting nanowire single photon detectors. First demonstration of time-correlated single photon counting with superconducting single photon detectors. L. K. Shalm, E. Meyer-Scott, B. G. Christensen, P. Bierhorst, M. A. Wayne, M. J. Stevens, T. Gerrits, S. Glancy, D. R. Hamel, M. S. Allman, K. J. Coakley, S. D. Dyer, C. Hodge, A. E. Lita, V. B. Verma, C. Lambrocco, E. Tortorici, A. L. Migdall, Y. Zhang, D. R. Kumor, W. H. Farr, F. Marsili, M. D. Shaw, J. A. Stern, C. Abellán, W. Amaya, V. Pruneri, T. Jennewein, M. W. Mitchell, P. G. Kwiat, J. C. Bienfang, R. P. Mirin, E. Knill, S. W. Nam, "A strong loophole-free test of local realism," Physical Reviews Letters, Dec. 2015. F. Marsili, V. B. Verma, J. A. Stern, S. Harrington, A. E. Lita, T. Gerrits, I. Vayshenker, B. Baek, M. D. Shaw, R. P. Mirin, and S. W. Nam, "Detecting single infrared photons with 93% system efficiency," Nat. Photonics, vol. 7, no. 3, pp. 210–214, Feb. 2013. A. E. Lita, A. J. Miller, and S. W. Nam, "Counting near-infrared single-photons with 95% efficiency," Opt. Express, vol. 16, no. 5, pp. 3032–3040, 2008. V. B. Verma, R. Horansky, F. Marsili, J. a. Stern, M. D. Shaw, a. E. Lita, R. P. Mirin, and S. W. Nam, "A four-pixel single-photon pulse-position array fabricated from WSi superconducting nanowire single-photon detectors," Appl. Phys. Lett., vol. 104, no. 5, p. 051115, Feb. 2014. V. B. Verma, F. Marsili, S. Harrington, a. E. Lita, R. P. Mirin, and S. W. Nam, "A three-dimensional, polarization-insensitive superconducting nanowire avalanche photodetector," Appl. Phys. Lett., vol. 101, no. 25, p. 251114, Dec. 2012. V. B. Verma, A. E. Lita, M. R. Vissers, F. Marsili, D. P. Pappas, R. P. Mirin, and S. W. Nam, "Superconducting nanowire single photon detectors fabricated from an amorphous Mo0.75Ge0.25 thin film," Appl. Phys. Lett., vol. 105, no. 2, p. 022602, Jul. 2014. B. Baek, A. E. Lita, V. Verma, and S. W. Nam, "Superconducting a-W[sub x]Si[sub 1−x] nanowire single-photon detector with saturated internal quantum efficiency from visible to 1850 nm," Appl. Phys. Lett., vol. 98, no. 25, p. 251105, Jun. 2011. 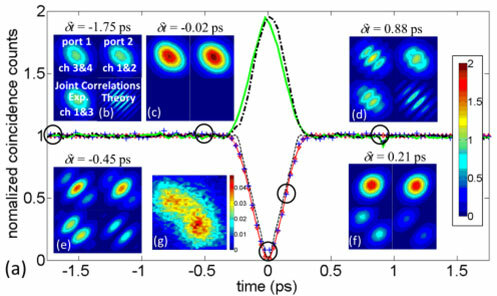 M. Giustina, A. Mech, S. Ramelow, B. Wittmann, J. Kofler, J. Beyer, A. Lita, B. Calkins, T. Gerrits, S. W. Nam, R. Ursin, and A. Zeilinger, "Bell violation using entangled photons without the fair-sampling assumption," Nature, vol. advance on, Apr. 2013. B. G. Christensen, K. T. McCusker, J. B. Altepeter, B. Calkins, T. Gerrits, A. E. Lita, A. Miller, L. K. Shalm, Y. Zhang, S. W. Nam, N. Brunner, C. C. W. Lim, N. Gisin, and P. G. Kwiat, "Detection-Loophole-Free Test of Quantum Nonlocality, and Applications," Phys. Rev. Lett., vol. 111, no. 13, p. 130406, Sep. 2013. E. Saglamyurek, J. Jin, V. B. Verma, M. D. Shaw, F. Marsili, S. W. Nam, D. Oblak, and W. Tittel, "Quantum storage of entangled telecom-wavelength photons in an erbium-doped optical fibre," Nat. Photonics, vol. 9, no. 2, pp. 83–87, Jan. 2015. F. Bussières, C. Clausen, A. Tiranov, B. Korzh, V. B. Verma, S. W. Nam, F. Marsili, A. Ferrier, P. Goldner, H. Herrmann, C. Silberhorn, W. Sohler, M. Afzelius, and N. Gisin, "Quantum teleportation from a telecom-wavelength photon to a solid-state quantum memory," Nat. Photonics, vol. 8, no. 10, pp. 775–778, Sep. 2014. All of the raw data and analysis programs for "Strong Loophole-Free of Local Realism" can be downloaded from http://dx.doi.org/10.5060/D2JW8BTT.